Step 1. Select your flowers and begin by tying a small clutch of 3-5 stems together. Step 2. 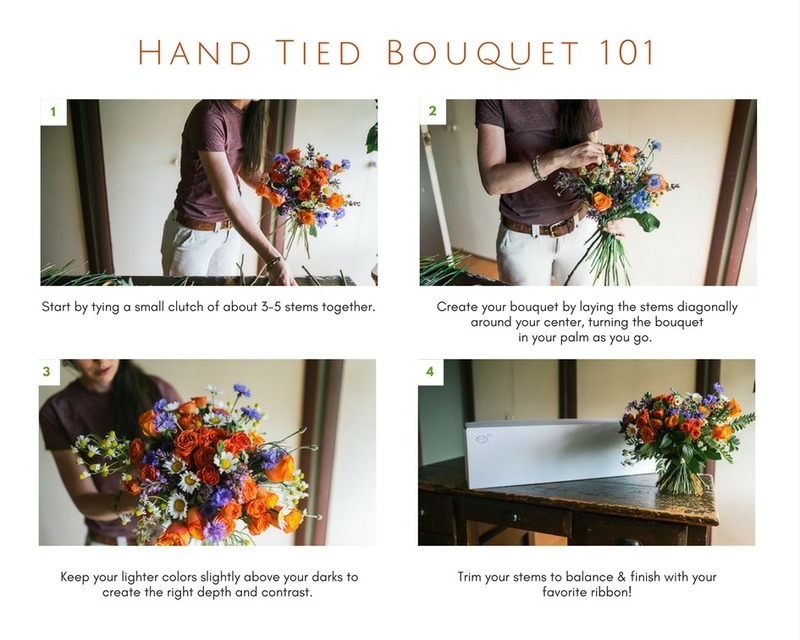 Create your bouquet by laying the stems diagonally around your center, turning the bouquet in your palm as you go. Step 3. Keep your lighter colors slightly above your darker ones to create the right depth and contrast. Step 4: Trim your stems to balance and select your favorite ribbon as a finishing touch. Use this elegant bouquet to adorn your home or to give as a gift!